What do you get when you take a typical straight staircase with an L shape but has no landing at the turn transition? You get a winder staircase. If you are looking for a more simplistic staircase to take you to the second floor of your home, try looking at a winder staircase. They follow the change of direction within the structure of your home. However, instead of adding a landing pad at the corner, winder staircases have more triangular shape steps to keep the descent or ascent flowing. 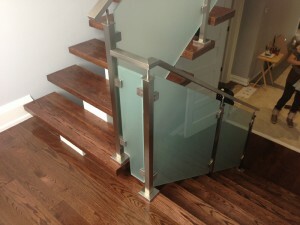 Sleekness: What makes winder stairs popular is how sleek they can be. As they meander around the corner of the wall to take you up (or down), they have a seamless transition that is appealing to the eye. Because of this, winder staircases are becoming popular with modern homes. Versatile: Although a winder staircase can be quite simple, you can also add different characteristics to them that will make them unique to your home. 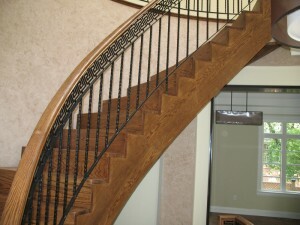 The versatility of the design makes winder staircases a popular choice. Practical: Do you have a home that has a second level that does not require a full set of stairs? A winder staircase can be useful for a full set of stairs as well as a smaller staircase. Winder staircases were common in older homes and often used as an additional staircase besides the one in the main entrance. Compact: Winder staircases are quite compact. 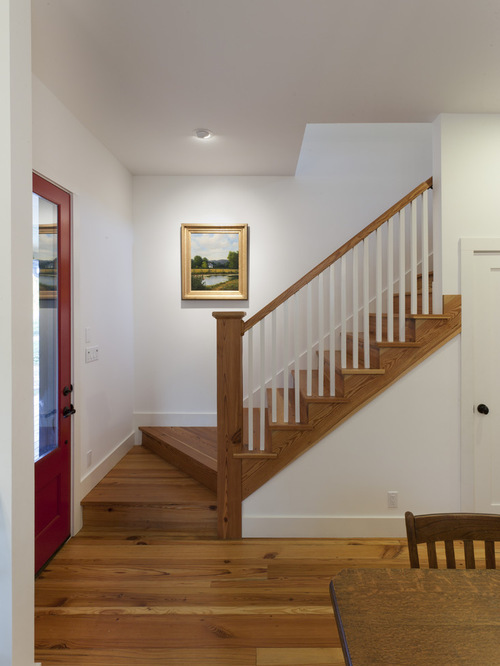 Since they are usually tucked against the wall or your house, they do not take up much space as other staircases This can be ideal for smaller, narrower homes who still would like a staircase that is modern looking. 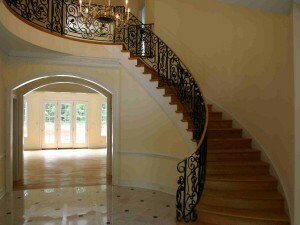 Let Stair Star help you design the best staircase for your home. With our winder staircases, you can ensure a set of stairs that is reliable, durable, and special to your house. Don’t let the stairs be a last thought when designing your home. 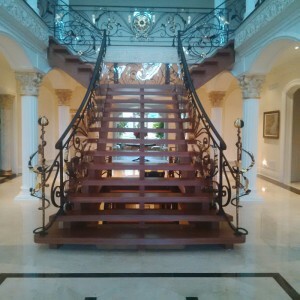 Call Stair Star at 416-746-4462 to see how we can add another wow factor to your home.